Winning and keeping clients can be a struggle for any business. However, when it comes to dealing with seniors and their loved ones, in-home care is an incredibly personal industry that relies on positive customer relationships. While busy agency owners may think that they don’t have time to thank and maintain customer relationships the right way, with a Customer Relationship Management (CRM) module in your homecare software or homecare system, managing client relationships can be one of the easiest and most enjoyable parts of your job! Activity Tracking: Allows you to automatically track emails, phone calls and visits with a prospect or client right in your homecare software. With a few clicks, your homecare system can provide you with a detailed log of that client’s history. Tasks: Let’s say that after 6 months of service you want to thank Betty & her husband for their continued use of your service. You can create an administrator task in ClearCare Online’s homecare system at the time service starts to remind you to pay a thank you visit months down the road – with auto email reminders from the homecare software, you’re not going to lose that calendar task! 1. Deliver a Bag of Kisses: Chocoloate hugs or kisses with a personal note are a fun way to say thank you and express your gratitude with some chocolate-based affection. 2. Host a Customer Appreciation Day: Consider making one day every quarter or 6-months a Customer Appreciation Day. Instead of having clients come into the office, send caregivers out with hand signed thank you cards and a small token of appreciation, such as a small box of chocolates, a potted plant or calendar. Gestures like this can have a big impact on seniors, especially those at high risk of feeling isolated. 3. Schedule Coffee Dates: Perhaps your agency does quarterly assessment updates or regular supervisory visits. Occasionally, consider scheduling one of these as a “Coffee Date” with your client. Call ahead and let them know that you’d like to take some extra time to chat that day. Bring along a special treat and schedule an extra 15 minutes to talk about the senior’s family or interests and thank them for being a customer. 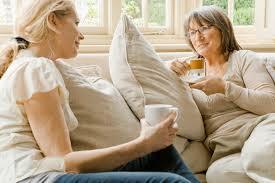 Consider having a family caregiver there, too, if they are actively involved in care. Your time and appreciation is a valuable commodity to customers and with a homecare software or homecare system like ClearCare to help reduce the time you spend on other tasks, that time becomes more available for important business aspects like relationship maintenance.